For a complete discussion of white strawberries, of which the Snow White strawberry is the latest offering, be sure to check out the White Strawberries page. And, you can buy Snow White strawberries here: Snow White. 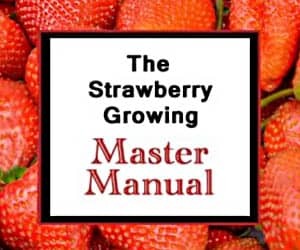 If you discover additional suppliers of Snow White strawberry plants or other white varieties that are available, be sure to let us know, and the directories will be updated accordingly! Is Snow White strawberry also kind of pineberry? 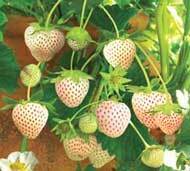 Found from Japan, there is a kind of white strawberry called : 淡雪（あわゆき）, which is produced from Fukuoka. Any information about this type? My understanding is that the Snow White variety is not a pineberry with the pineapple-ish flavor overtones. As to the Japanese variety, I don’t know much about them. Sorry!